Networking is a constant cycle of building and maintaining relationships, all of which can help you cultivate information and leads about potential career opportunities. If you’ve ever talked to a professor, chatted with a family friend, or made conversation with someone on a plane, then you’ve already networked! Since so much networking is done online, it’s important to periodically review and/or clean up your web presence. Employers, graduate admissions representatives, and even networking contacts will likely search for you online and factor what they find into their decision-making. Google yourself and then consider the following: "Am I comfortable with an employer seeing this visual and written content about me?" 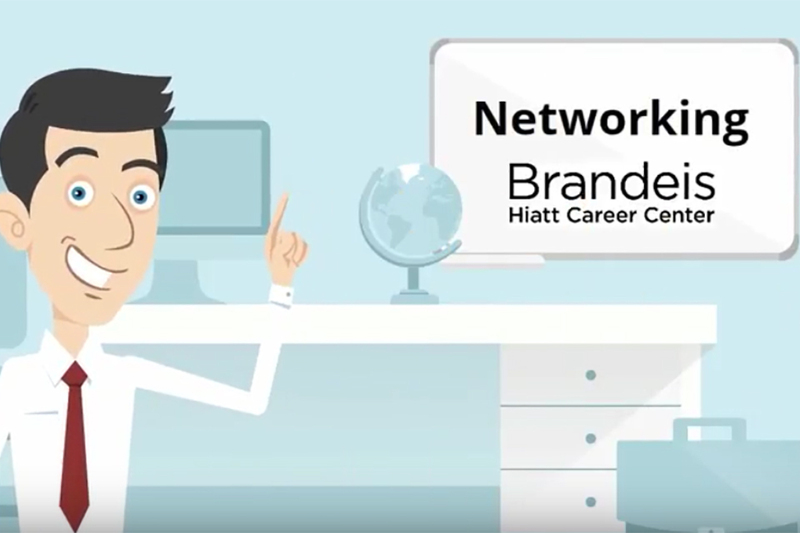 Watch Hiatt's webinars on how to build a professional online brand that meets your goals. Whether you are connecting with an alum, a potential employer or a friend of a friend, it's important to take safety precautions when meeting someone new. "Networking up" creates a power dynamic that can at times be difficult to navigate. Remember that you are an equal party in any conversation and have the power to end it at any time if your instincts tell you to do so. Consider the following tips and advice to help keep you safe. These practical tips and advice will help you get started in successfully adding valuable relationships to your contact list. Identify why you want to network and what your desired outcome will be. Learn as much as you can about the industry, job function or employer of interest as well as the person with whom you will be speaking. If you already know with whom you are meeting, be sure to visit the contact’s company website, search for the contact’s name online, and review the contact’s LinkedIn profile. Start your search by utilizing LinkedIn to identify people of interest. You should expect to have about 10-15 questions ready to ask for a half hour conversation. Check out these sample networking questions to get started. Develop a short 60-second summary to introduce yourself and highlight your unique skills and qualifications. Review our introduction guide to help organize your thoughts. Having a professional social media presence is an absolute must! Learn how to build and maintain your LinkedIn profile. Connections may be made in-person, over the phone or online. In all cases you will want to address who you are, why you are contacting them, what you want, and a plan for following back up. Use this outreach template to reach out and make connections. Be courteous. Arrive on time, or even early. Dress professionally as a sign of respect and to make a good impression. Ask for advice, not a job. Remember, you’re seeking expertise and wisdom, not a mass-distribution of your resume. Be prepared to talk about yourself. Your contact will surely ask about your experiences and interest. Really listen to what the person tells you. Take notes. While it is important to maintain eye contact during in-person meetings, taking notes also demonstrates interest in what the person is saying. Keep the conversation relatively short. Respect that the other person has many demands on his/her time. Be aware of the time that has passed and when there is a break in the conversation near the end of the time you requested, thank the person and politely end the conversation. Opportunities to connect, both in person, and online are everywhere. Submit a Wisdom Wanted ad— gain valuable career advice from Brandeis alumni, parents and volunteers through online ads created by you! No matter what your experience may have produced, it is important that you show gratitude to the person you networked with. Send a thank you note indicating your appreciation for their time and feedback. Notes should be sent within 24-48 hours of your interaction. What did you learn? What are your next steps? A quick note to a connection can be a nice reminder of who you are and what you are interested in. These relationships may lead to future job or internship referrals, letters of recommendation, and/or additional contacts. Not all networking relationships will endure. If you feel that the relationship is no longer beneficial to you or your contact, or that you’ve reached your anticipated goals, you should simply part amicably, politely, and professionally. You never know when someone may seek out your insights and advice in return. Be a source of information for other Brandeis students and professionals. Are you looking to connect with professionals in a specific city, company or industry? 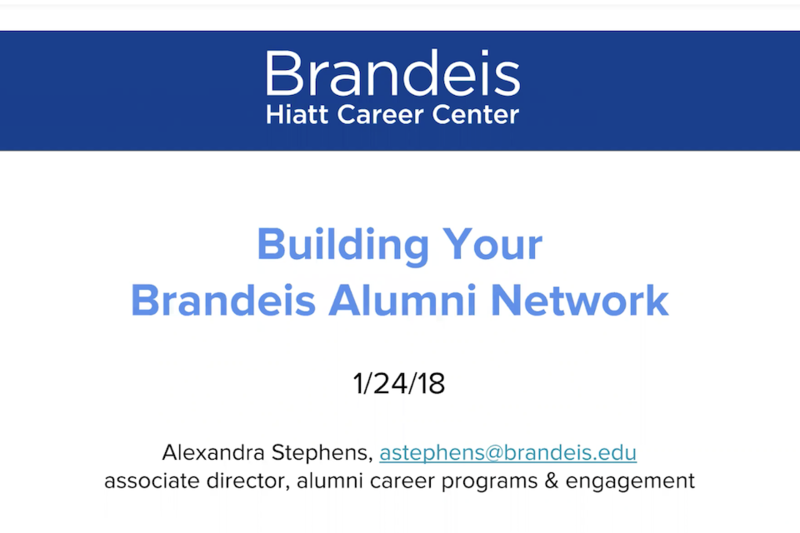 Look no further than the Brandeis alumni network! Brandeis graduates represent nearly every field and function and are employed at top companies around the world. Plus, you already have something major in common: your shared Brandeis experience. The webinar below will help you maximize online resources for finding and connecting with each other, including the alumni directory in B Connect, LinkedIn, regional and shared interest groups on Facebook, and more. 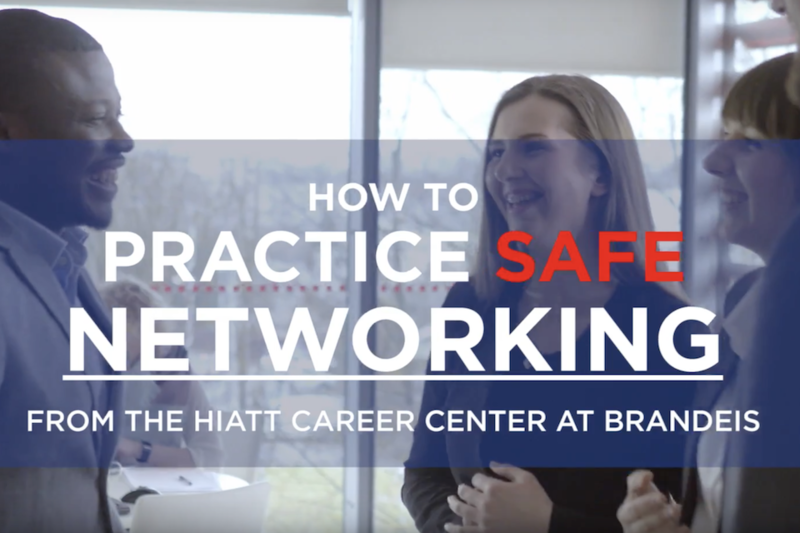 Hiatt offers a number of ways in which you can network and interview with a variety of different professionals in a number of diverse sectors. Before doing so, you will be required to complete our Networking Requirements (below). These also act as a great first introduction to the expectations of networking and what your responsibilities are as an active interviewee. Read and electronically sign Hiatt's social responsibility and integrity contract. Watch this brief video on networking (below) and take the quiz.